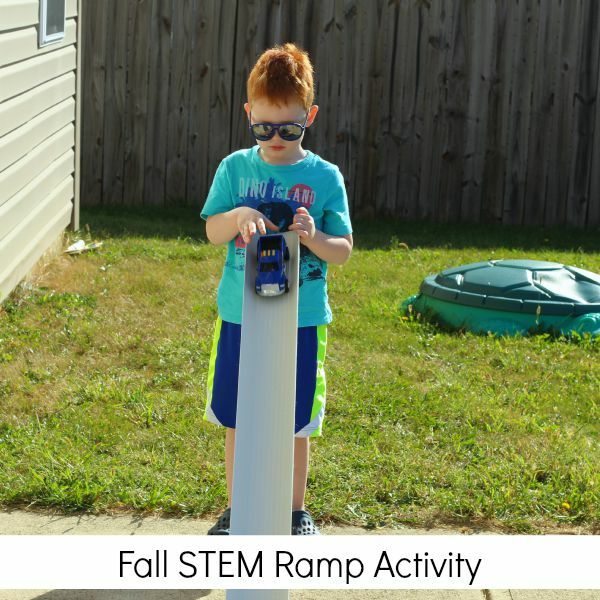 The other day my son learned letters while having fun with a fall STEM ramp activity! He was super excited to experiment with the ramp and play with his cars! 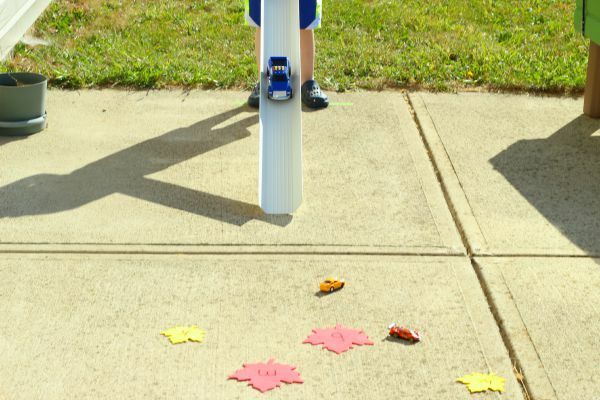 This week the ECE Team has created a bunch of really awesome fall STEM lessons that also integrate various subjects like literacy, writing, letter learning, fine motor and sensory. 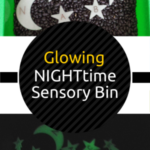 Make sure to scroll to the bottom of the post to find all of the other activities! 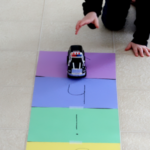 My son loves playing with cars, so a chance to experiment with ramps and play with cars was quite an exciting activity for him. 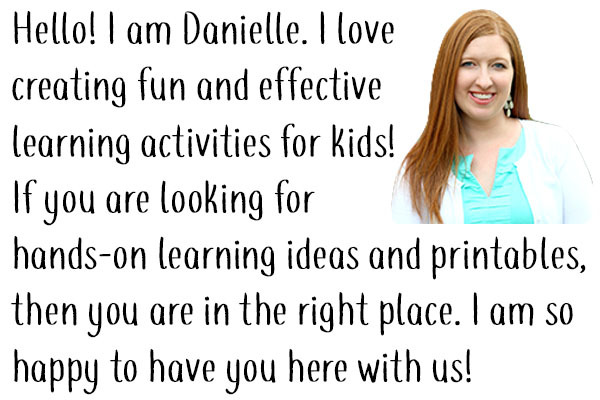 The fall spin I put on the activity turned out to be a great addition as well. 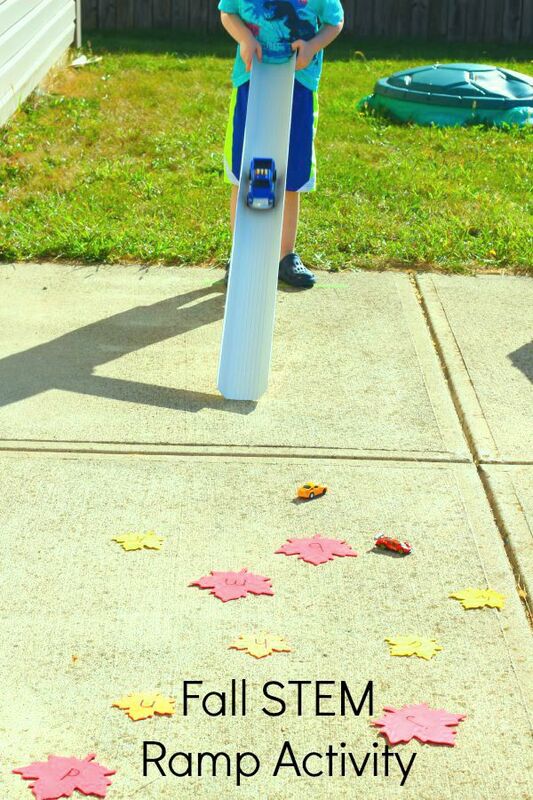 Write a letter on each leaf with the permanent marker. Cut the rain gutter in half if need be. I think ours was about 10 feet long to begin with. 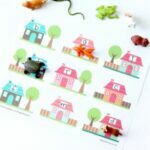 Add a line of tape to the ground so that the starting point is the same each time. I modeled how to hold the ramp and send the car down for my son. The I handed it over to him and let him figure out how to get his cars to land on a leaf. This was completely open-ended and I left it to him to experiment with moving the ramp up and down at different angles to change the speed of the car and the final landing spot on the ground. What might happen if you lift the ramp up higher? How far do you think the car will go? What might happen if you lower the ramp? How far do you think the ramp will go now? What do you think will happen if you use a different car? What car do you think will go fastest? Which one do you think will be the slowest? What happens if you lay the ramp down flat on the ground? What can you do to make the car go farther? What can you do to make the car go a shorter distance? What happens if you push the car with your hand? 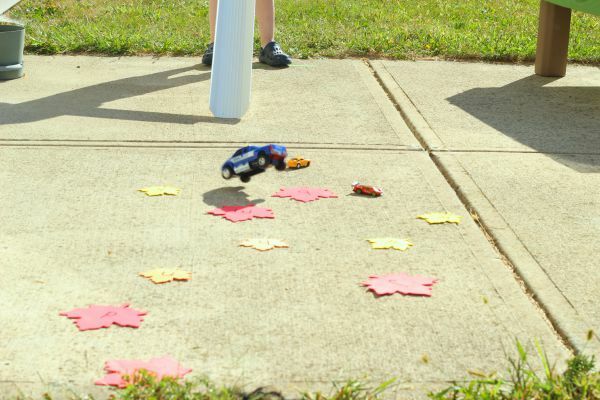 Instead of telling children how to make the car land on the leaves that are farthest away, ask them questions that might lead them toward discovering it on their own. Let them test various scenarios and come to a conclusion through trial and error. When Evan landed on a leaf, I made sure to mention the name of the letter written on the leaf. While he was aiming for a specific letter, I would also mention the name of it. Often, he would talk about the letters he was aiming for or the letters that his car landed on as well. 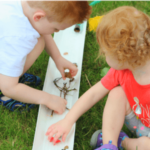 My goal for this activity was not to tell him how or why things worked the way the did, but rather to let him explore and come to his own conclusions. This activity was a grand success! He was fully engaged in the lesson and eager to experiment with the ramp. He now has a much greater understanding of how ramps work. 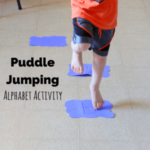 We even reinforced letter recognition and letter sounds at the same time! 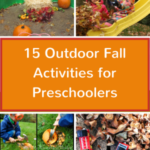 15 Outdoor Fall Activities for Preschoolers and $2000 Cash Giveaway!